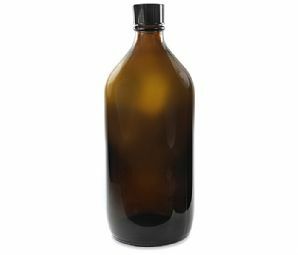 Traditional Glass Winchester bottle. 1000ml capacity with hard plastic cap. The original bottle type of choice for photographers and darkroom workers for the storage of photo chemistry as the brown glass helps to filter ultra-violet light.